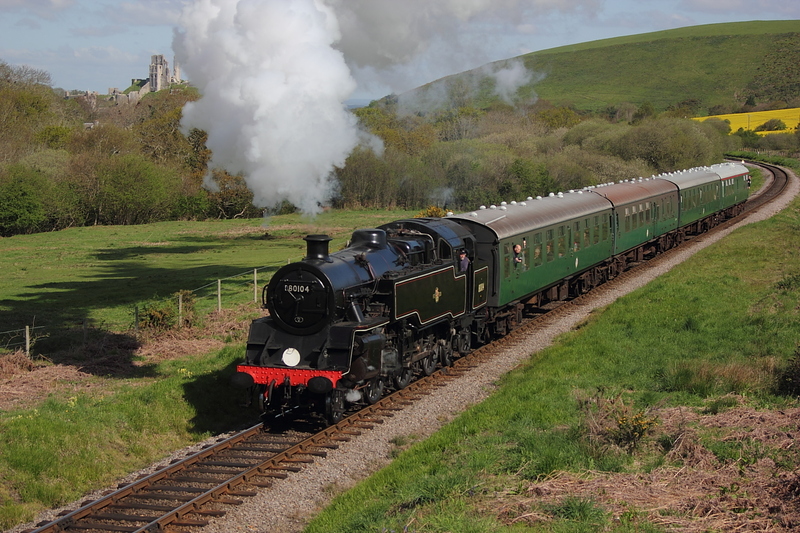 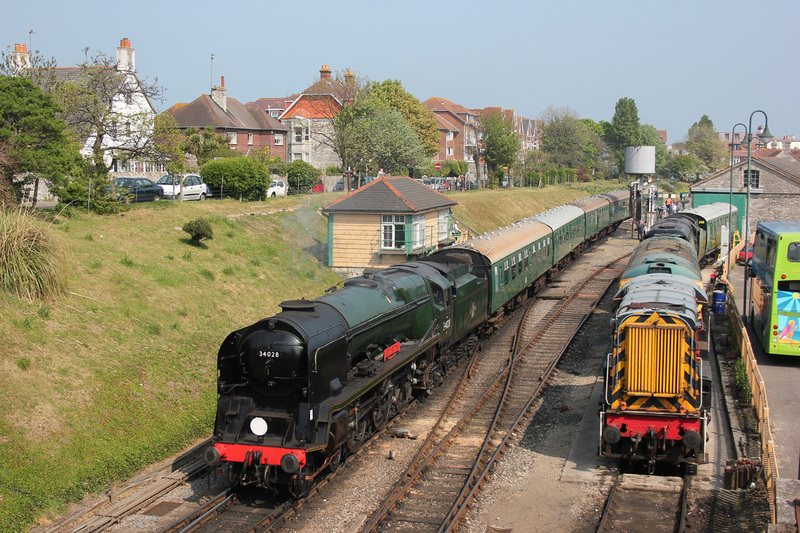 Substitute for a Diesel is resident 4MT 80104 on the out skirts of Swanage working2S07..11.30 Norden to Swanage. 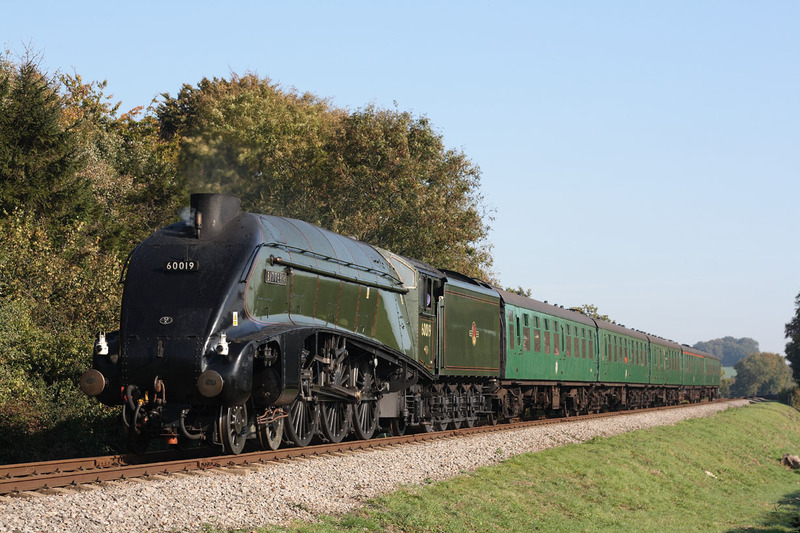 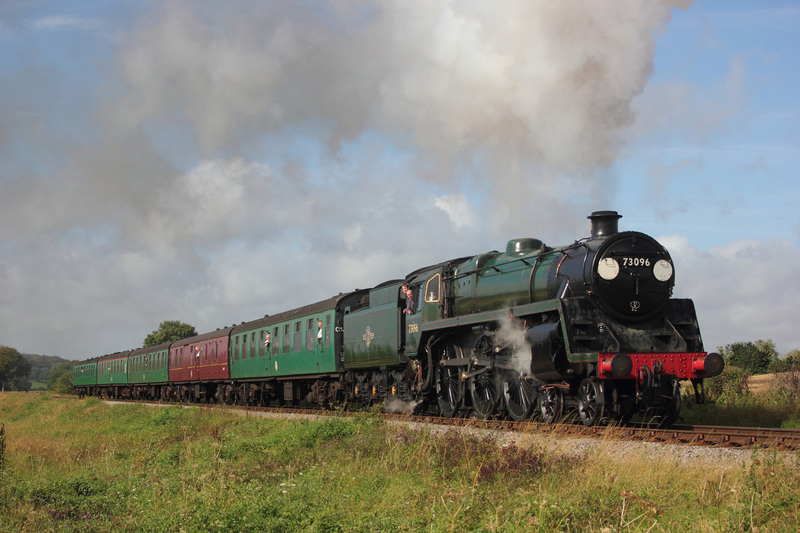 Due to non arrival of guest locomotives at the event ,resident 4MT 80104 was used to cover a diagram and pictured here working 2S01..09.15 Norden to Swanage. As can be seen it was a close call,with the shadow catching up with U Class 31806 while passing Medstead on the Sunday 10.00 Alresford to Alton service,and yes it did tip down with rain not too long after. 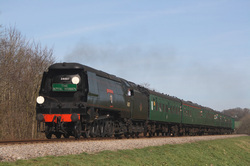 With the 10 year boiler certificate soon to expire on the Mid-Hants Railways resident Standard 5,No.73096, a Farewell weekend was arranged to allow enthusiasts to travel for the last time behind the locomotive prior to being withdrawn from service,and is seen here with the first run on the Sunday,the 10.00 Alresford to Alton, passing Medstead. 27/03/11 Mid-Hants Railway's Spring Gala,850 "Lord Nelson" approaches its destination at Alresford with the 12.05 freight service fron Alton. 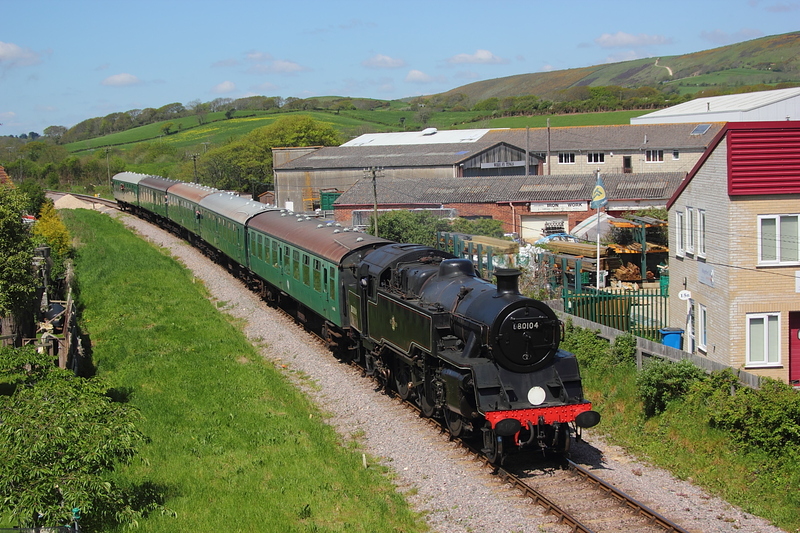 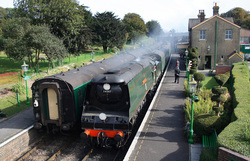 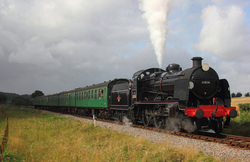 West Country Class,34028"Eddystone" departs Swanage station with the 14.40 service to Norden. 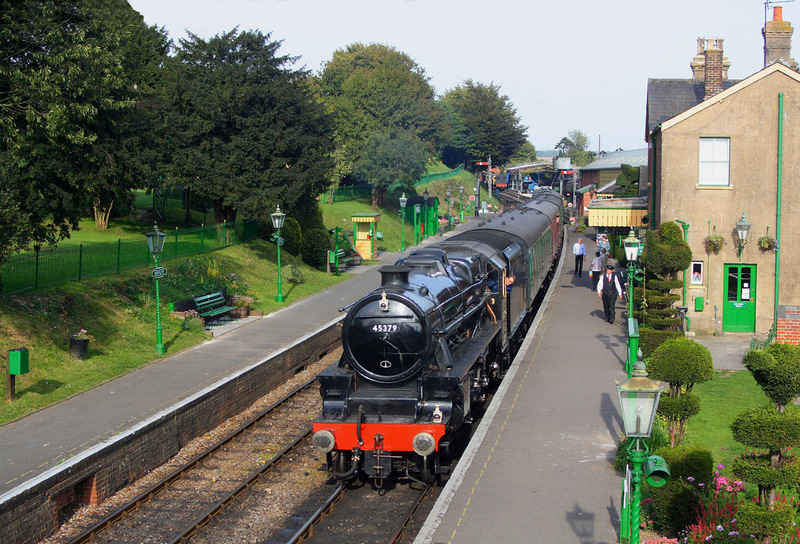 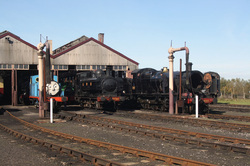 Black 5 45379 comes to a halt at Ropley station on the 15.55 Alton to Alresford service. 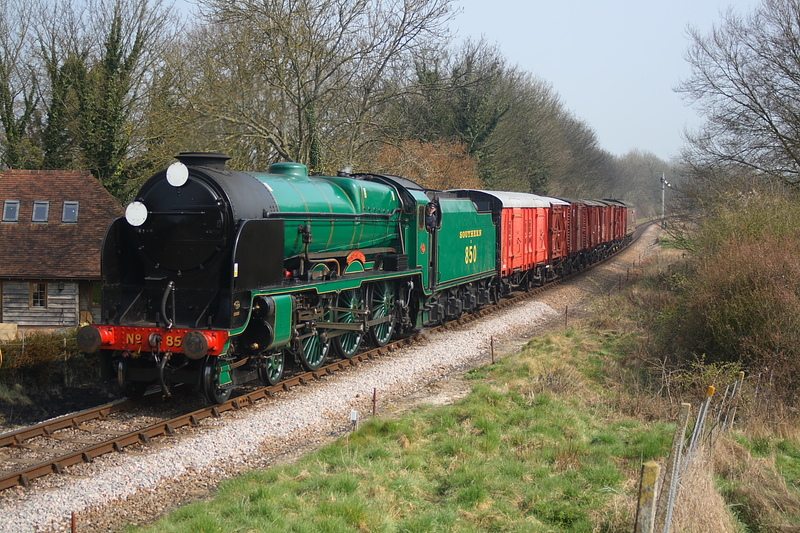 5MT 73096..11.00 Alresford to Alton. 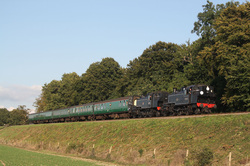 Mid-Hants Railway's 9F,92212 passing North Street on the approach to Ropley station on the 11.55 Alton to Alresford service. 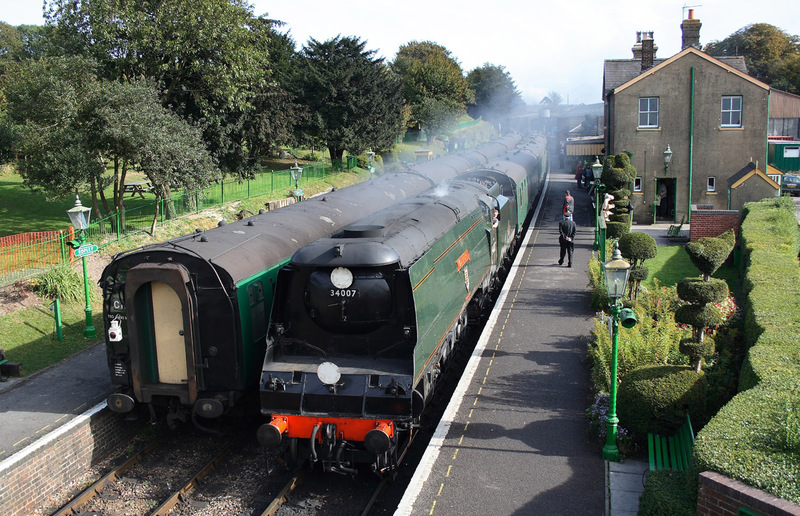 West Country Class ,34007"Wadebridge" about to stop at Ropley station with the 10.50 Alton to Alresford. 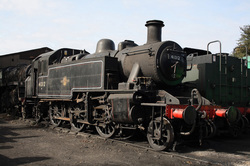 15/03/09 Mid-Hants Railway's Spring Steam Gala,North Street. 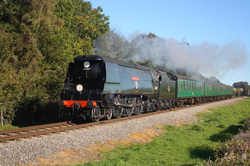 Bullied Pacific 34007"Wadebridge" 12.01 Alton to Alresford. 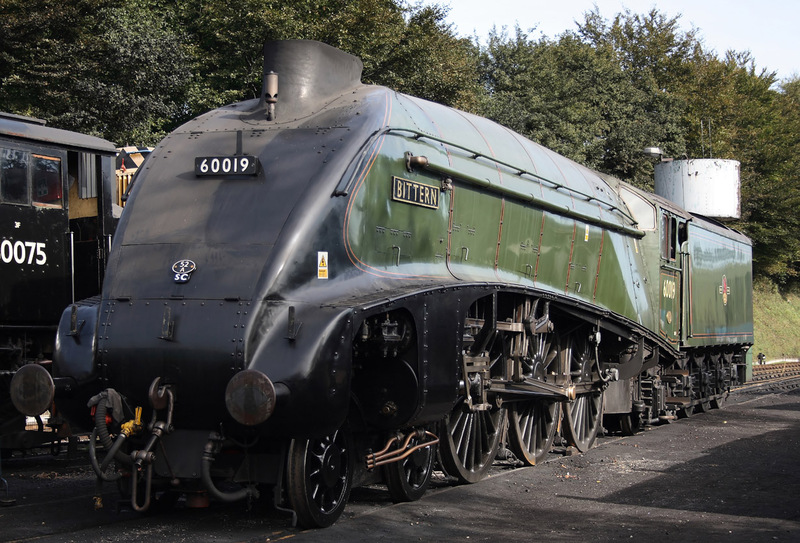 A4 60019"Bittern" 10.00 Alton to Alresford. 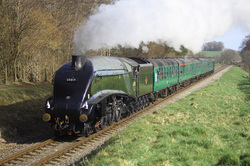 A4 60019"Bittern"11.00 Alton to Alresford. 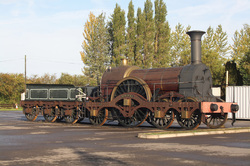 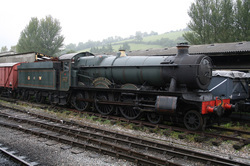 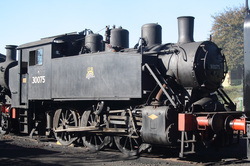 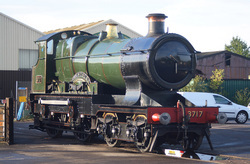 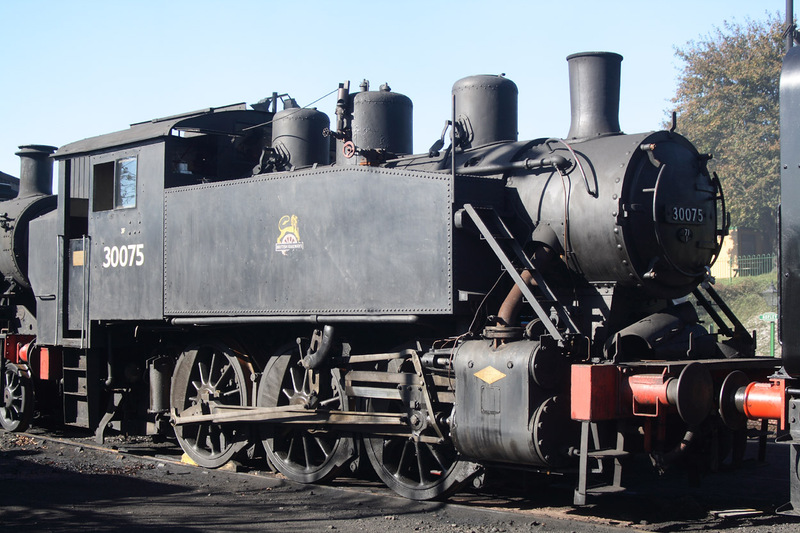 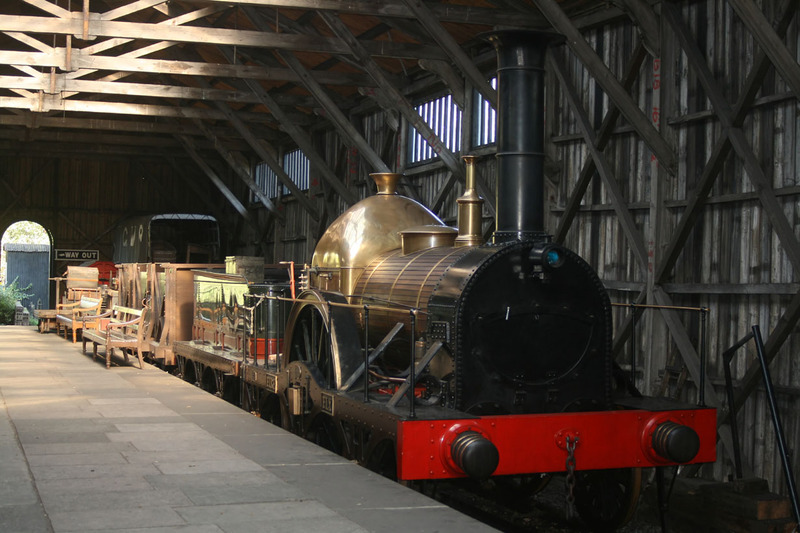 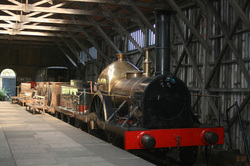 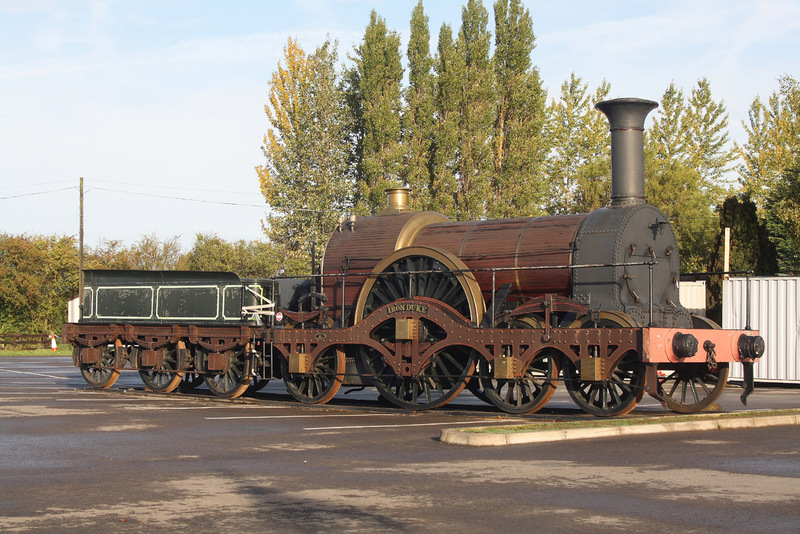 Replica of Brunel's Broad Gauge 2-2-2 "Firefly"
STD Class5 No. 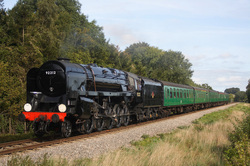 73096..10.30 Alresford to Alton. 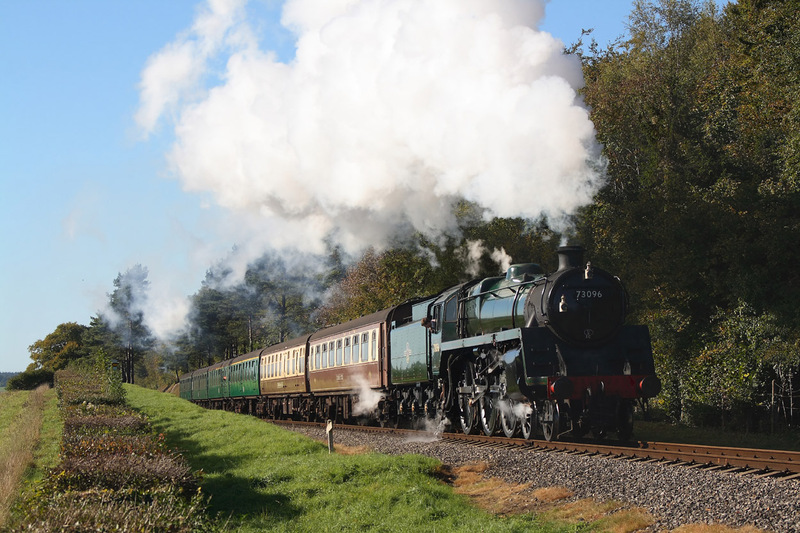 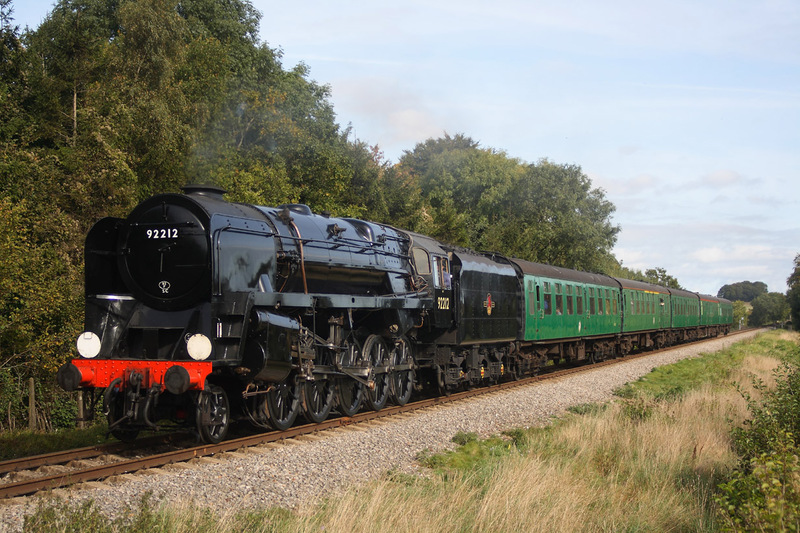 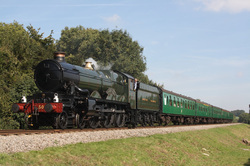 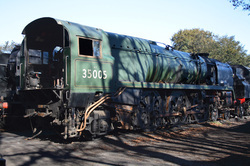 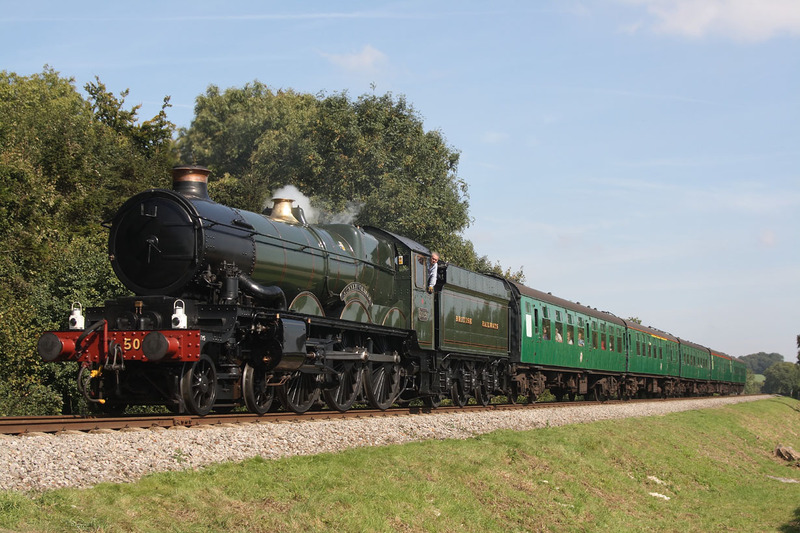 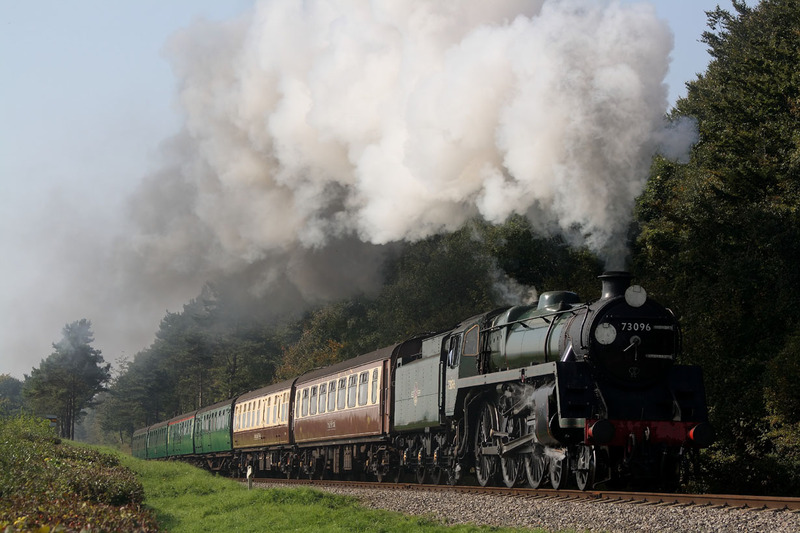 Having starred at the previous weeks "Big Four Steam Gala",4936"Kinlet Hall" was used on a normal weekend before finaly leaving the Watercress line and is pictured here working the 12.55 Alton to Alresford service. 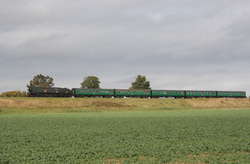 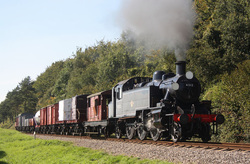 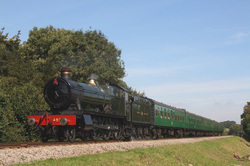 LMS Ivatt Tank 41312 on a Alresford to Alton mixed freight service. 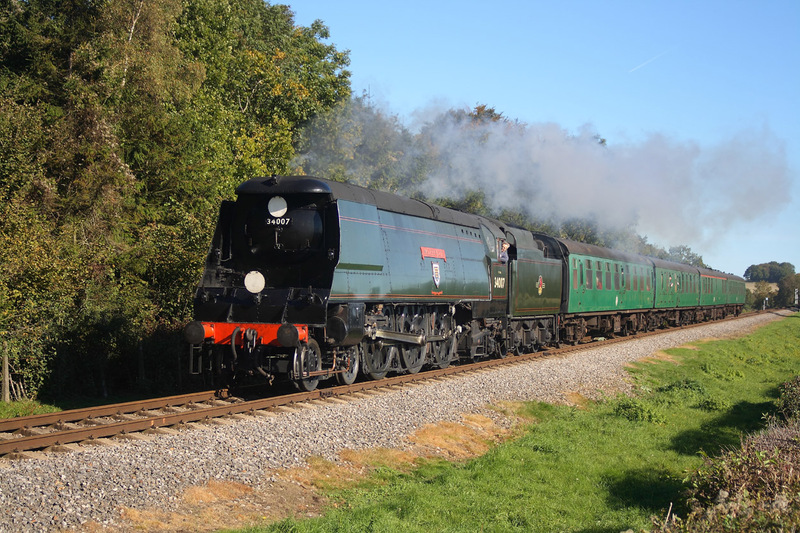 After appearing at the previous weekends "Big Four Steam Gala",5029"Nunney Castle" finds itself on the 11.55 Alton to Alresford service on a normal weekend before finaly leaving the Mid-Hants. 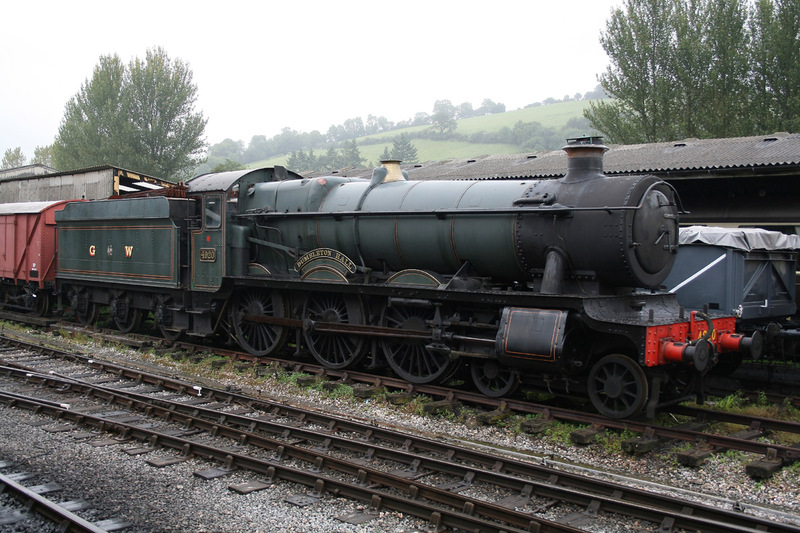 13/09/08 Mid-Hants Railway's,"The Big Four Steam Gala",North Street. 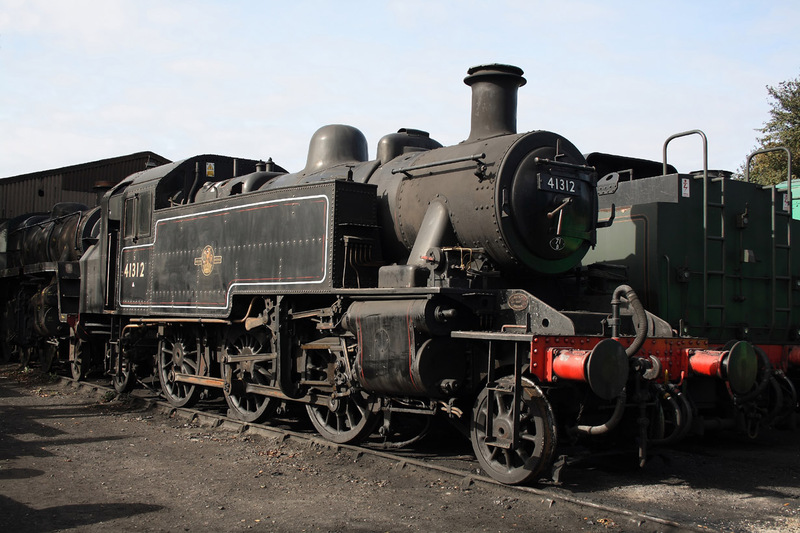 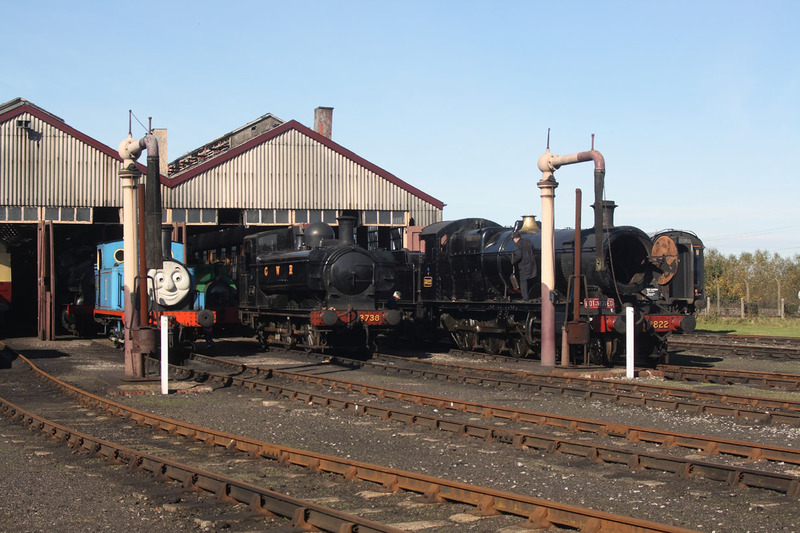 LMS Ivatt Tanks 41312+41241..16.40 Alton to Alresford.